I originally planned on writing this article on the many ways Japanese games represent different world religions, and while I might try again in the future, the only thing that came to mind was how the Catholic church was either a great place to save your game, like in the Dragon Quest games, or a headquarters for the cartoony evil initial villains, like in the Tales of games (Tales of the Abyss even made their Catholic church music themed with evil maestros and everything). I then decided to write about video games that go through religious doubt, but that’s far too complicated. Finally I decided “why not write about two different video game characters that followed similar character arcs to that of Final Fantasy IV’s Cecil Harvey?” In other words, characters whose doubt eventually caused them to refute their leaders’ plans when they decided that they no longer morally agreed. Warning: Serious plot spoilers for both Breath of Fire 3 (BF3) and Asura’s Wrath (well, statutes of limitation on BF3, as I reserve the right to spoil a PS1 game that is old enough to drive in all 50 U.S. states). 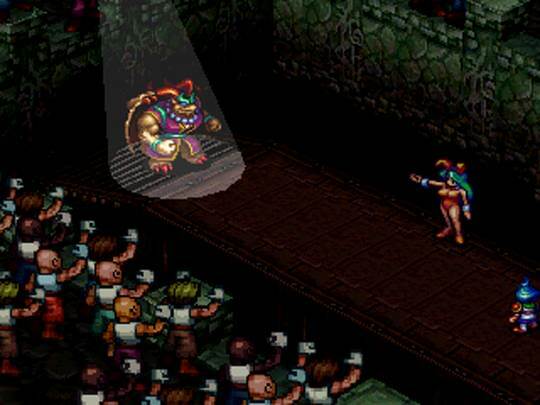 Garr is one of the four Holy Guardians created by the head goddess of the Urukian tribe (similar to Mayan people) who revere Garr with respect, demonstrated by how they act completely unfazed by his large demonic appearance. Originally created centuries ago to start the Brood War, a conflict against a perceived world threating group of half dragon humans named Broods; Garr spends his semi-immortal life as the reigning champion of an underground fighting competition called the Contest of Champions. 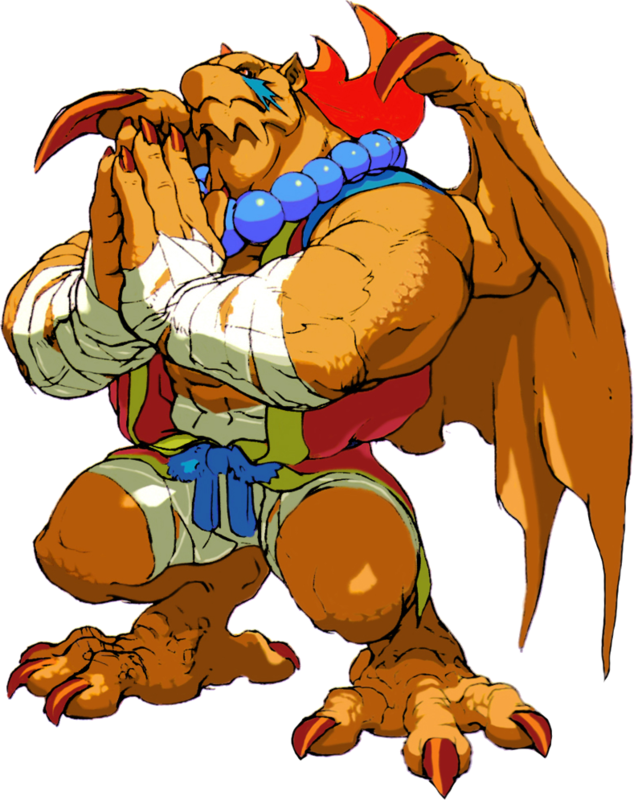 I see Garr’s role in Breath of Fire 3 as a world-worn guide for the main character, the once centuries dormant and perceived last living Brood descendent Ryu. 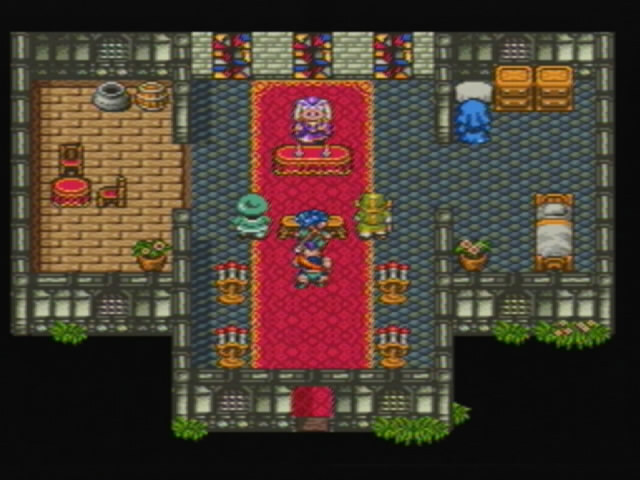 Garr’s a perpetually crossed-armed reminder that he’s been around Breath of Fire 3’s post-apocalyptic fantasy block. Garr, found in his natural habitat. During the first half, when Garr brought Ryu to Angel’s Tower, a Brood graveyard, Garr secretly planned on killing Ryu. Conflicted about his role in life, Garr often struggled with what was more important: fulfilling his duty to enact his God’s wishes by destroying the Brood; or letting Ryu live. Garr felt doubtful of the Brood after they intentionally didn’t resist Garr and the other Guardians. Leaving Garr to doubt his actions, but at this point still goes through with his God’s plan.